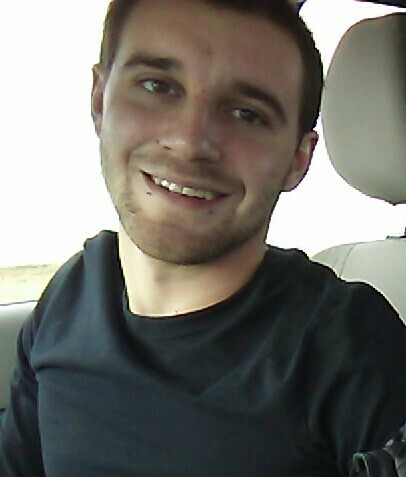 Nicholas “Nick” Tarlton Thomas, age 24, of Piqua, formerly of Covington, died Monday, February 5, 2018 in Covington. He was born December 26, 1993 in Piqua to Tarlton & Traci Thomas; attended Covington High School, where he played baseball & football; loved being outdoors, fishing, hunting, & playing loud music, but most of all, he loved his family. Preceded in death by his paternal grandfathers, Leo T. Thomas Jr & Bill McKinney. Nick is survived by his parents; fiancée, Lindsey Nicole Smith; her sons, Sebastian & Julian Smith; & a baby on the way; brother, Noah Thomas of Tipp City; paternal grandmother, Kay McKinney of Covington; maternal grandparents, Tom & Carol Iddings of Covington; many aunts, uncles, cousins & friends. Funeral Service to be held Tuesday at 10 am at Bridges-Stocker-Fraley Funeral Home, Covington with Pastor Greg Kurtz officiating. Interment Highland Cemetery. Visitation will be held Monday 5-8 pm at the funeral home. If desired, contributions may be made to The Molly Murphy Unicorn Foundation by check: Make payment to the Troy Foundation, print Molly Murphy Unicorn Foundation in the memo line & mail to 10610 North St. Route 48, Covington, Ohio 45318 or visit http://mollymurphyunicorn.com. Condolences may be left for the family at www.stockerfraley.com.